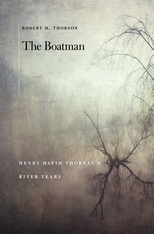 I have been really enjoying The Journals of Henry David Thoreau, 1837-1861, recently published by the New York Review of Books. For some reason they seem to bring me closer to his point of view (or more directly inside his head) than even Walden does. Perhaps some enterprising person could do a children's book about HDT's journals.